My family has five dogs and they are like children to us. They sleep in our beds, get spoon fed leftovers, and have no problems coaxing treats out of us. 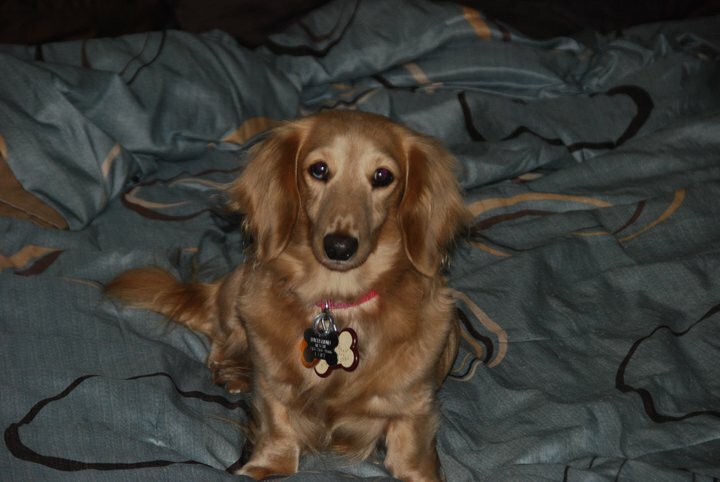 Schatzi, a long-haired dachshund, is the latest addition to the family. 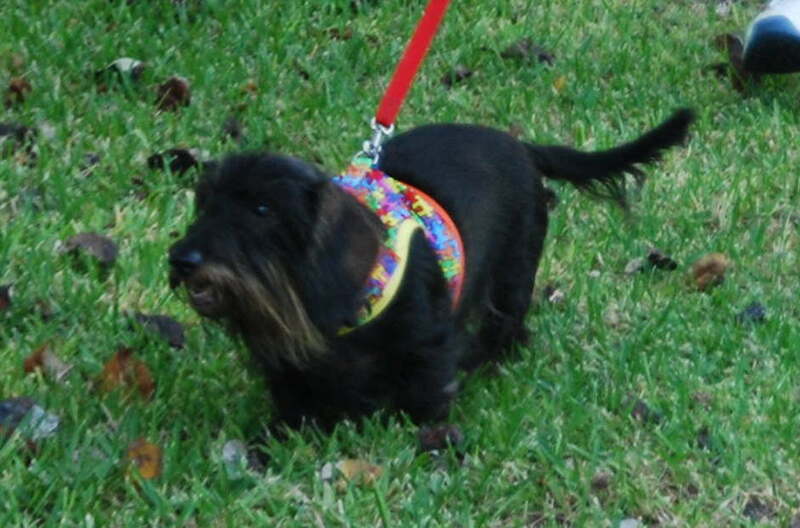 We adopted her from the Dachshund Rescue of Houston where she was rescued from a puppy mill. Her entire life she spent in a crate, but now she is starting to see what being a dog is all about. She is skittish, but getting better. No nicknames yet. These dogs are all spoiled to death!